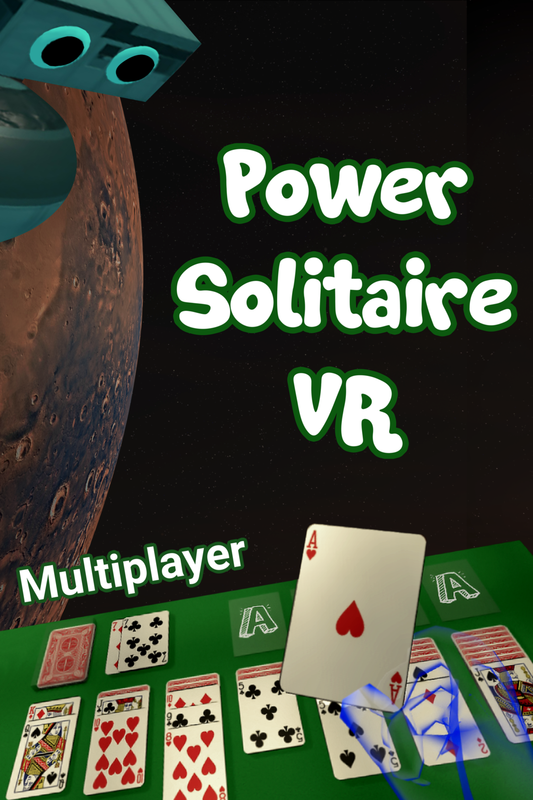 Power Solitaire VR is a delightful version of the Klondike solitaire card game that introduces unique game play only possible in Virtual Reality. Power Solitaire VR is a delightful version of the Klondike solitaire card game that introduces unique game play only possible in Virtual Reality. Play alone, against an intelligent robot, or live multiplayer with others online. It's a social VR game the whole family already knows how to play. Not your mother’s solitaire! Power Solitaire VR is solitaire but with a twist! 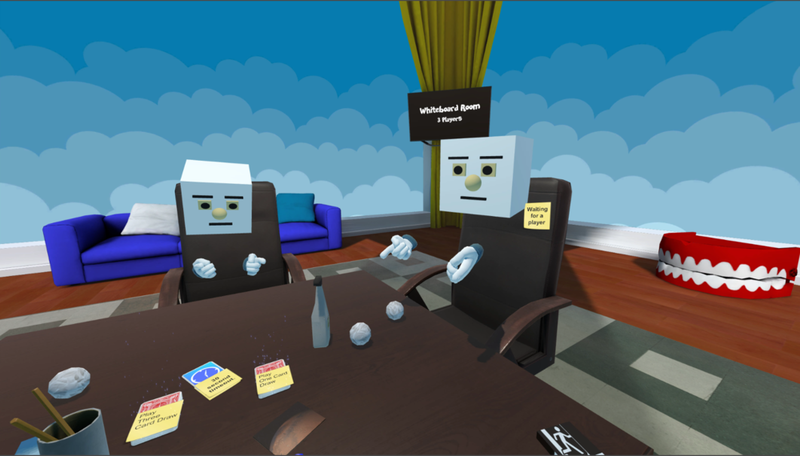 In its unique online social multiplayer mode (with live voice chat) place your cards onto anyone's piles, if you can beat them to it. The action escalates quickly, becoming fast and competitive. Of course, you can also play regular relaxing solitaire alone. Power Solitaire VR is lively, immersive, competitive, social, and a ton of fun! Includes lots of little VR surprises in each environment. This is a seated (or standing) VR experience and requires hand controllers. Fun VR surprises and interactive playfulness throughout! You don't play solitaire? Well, maybe your parents do! "Reminds me a lot of I Expect You To Die, especially the visuals and interactivity"
"Great and relaxing way to play this classic card game :)"
"Amazing! Wonderful design and it works perfect!" "I don't like virtual reality or shooting games. But I love this! And could play it for hours"